If you haven’t discovered The Green Chair Project’s fundraiser sales yet, you’re in for a big treat! Especially if you love a good treasure hunt. The local nonprofit provides essential furnishings to more than 600 families each year that are transitioning from homelessness, crisis or disaster. But just a few times a year, they open their doors to the public to raise funds that are vital for their programs. Every dollar you spend benefits our community. The next sale is February 15-17 at 1853 Capital Blvd, from 10 am to 5 pm. Shop for furniture, art, home decor and one-of-a-kind vintage finds. Look for antiques, mid-century modern and more. Original art, lamps, barware, rugs, tapestries, china & crystal–it’s a diverse and eclectic collection of both new and used items. You’ll find brands including Vietri, Ralph Lauren, Dash & Albert, Baker, Drexel, Ballard and Fitz & Floyd. In addition to donated items, The Green Chair Project receives new donations from stores including Bailey’s, Whisk, La-Z-Boy, Quintessentials, Trig Modern and DesignLines. Want to be the first to shop when they open their doors? Purchase a $25 ticket to the Preview Party Thursday, Feb. 15 from 6-9 pm. 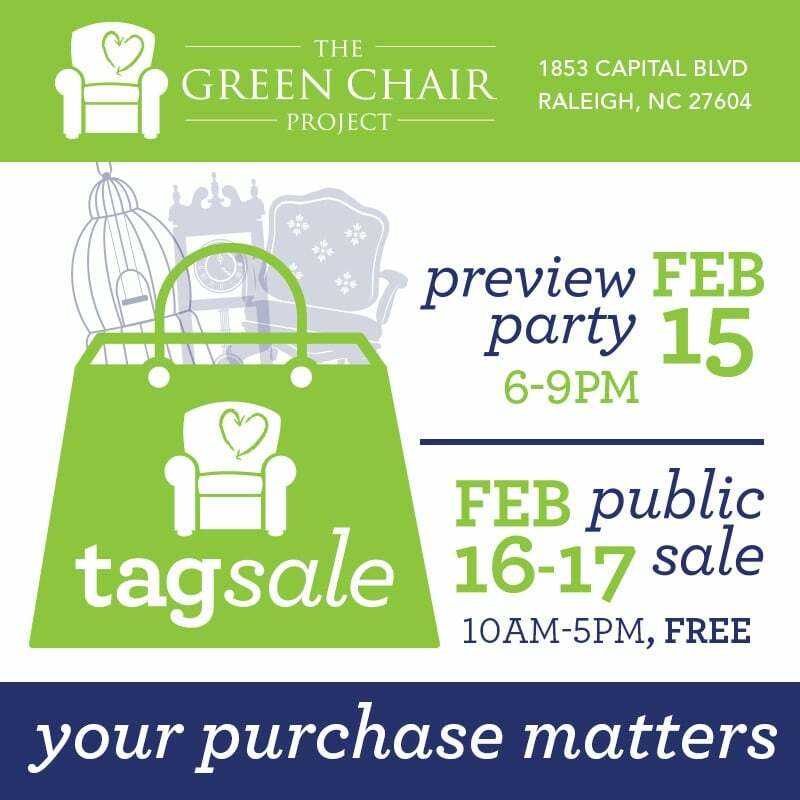 Make plans to check out The Green Chair Project’s Tag Sale. 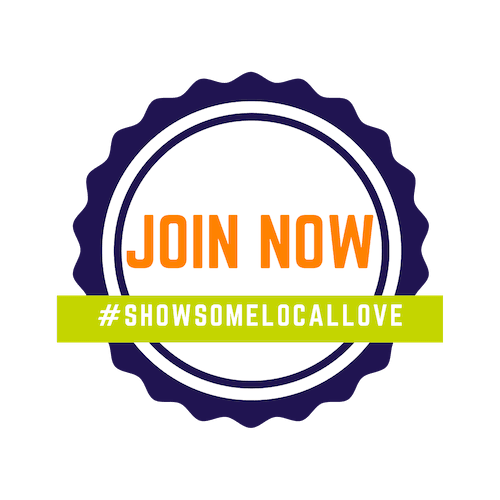 Shop local, shop for a good cause and support your neighbors in need. You’ll go home knowing that the chair or lamp you purchased helped provide a new bed for a child or the essentials of home for someone in need.